*Camp is not compatible with shorts. If you do choose to send shorts for your son please be aware that he may not wear them during services. (1) We expect that boys wear long pants at all davening sessions. Boys who come to davening in shorts will be asked to return to their bunk to change. (2) Bar mitzvah boys MUST wear a hat and jacket for all davening times. (3) It is of paramount importance that the clothing your child wears for Shabbos clearly identifies with the beauty and kedusha of Shabbos. Shabbos clothes must include a white shirt, dark pants and proper shoes. T-shirts , jeans and shorts will not be permitted. (4) Tee shirts and other articles of clothing shall not depict popular culture themes or symbols. Camp facilities are not made to accommodate large amounts of clothing. We are providing you with a clothing list. For the comfort and safety of all campers, we insist that you stick to this list, and where possible make do with less. 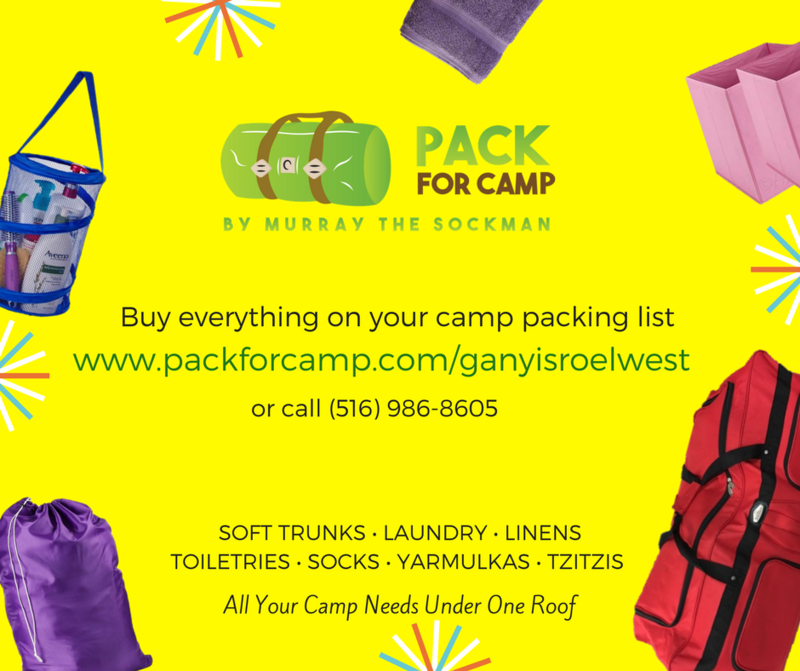 Please send as many of the items as possible in a soft duffel bag. Your child should be discouraged from packing expensive or valuable items since they can get lost or damaged. We do not assume responsibility for damaged, lost or stolen items. Clearly identify all clothing with your child’s first and last name. Only items marked with your child’s name will be returned. We suggest iron on labels that can be purchased through www.irononmdlabels.com.